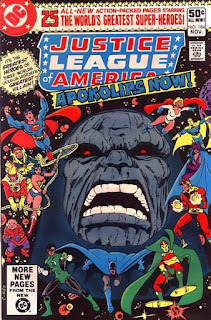 The Nerduary: So What's the Plan For Darkseid in the Justice League Movie? 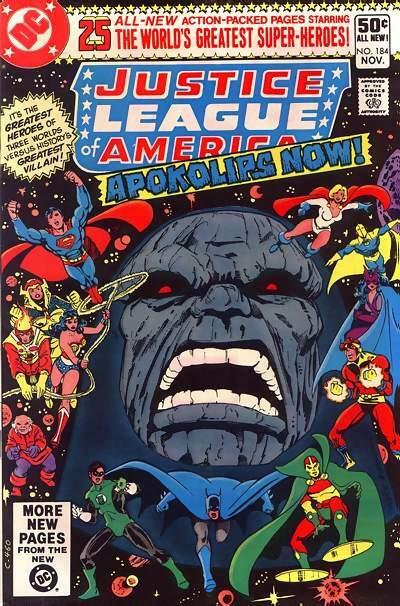 So What's the Plan For Darkseid in the Justice League Movie? Over at Latino Review, “someone” has an alleged lead on what the plot source material will be for the impending Justice League movie. Let the speculation begins! But Darkseid completely corrupting the Earth and humanity with it seem to me to be more fitting with the darkening of the movie DC characters, ala Nolan’s Batman and what we’ve gleaned from Man of Steel. That and blowing Earth up to make room for your planet is a bit too Flash Gordon for me. Not that I don’t like Flash Gordon, but Ming ain’t the villain of Justice League. Darkseid is. Let’s have him act like Darkseid. "Hey Pa - should I join with these other heroes and stop Darkseid from blowing up the Earth?" Wherein we delve into all things one can nerd out about. OMG YOU GUYS THEY'RE KILLING SPIDER-MAN!!! !